Here we are going to see how to use Hibernate Interceptor while doing hibernate crud operations. Hibernate Interceptors are very useful in applications to react to certain events that occur inside hibernate. 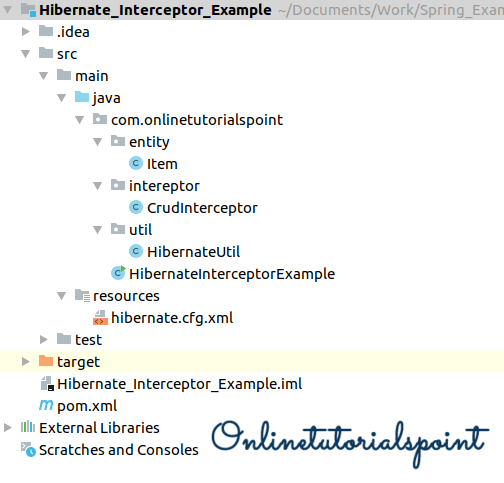 Hibernate provides Interceptor interface which gives callback methods from the session to the application. Session scoped interceptor can be specified when a session is opened like below. These session scoped interceptors can bound to a particular session. A session-factory scoped interceptor can be specified with a configuration object prior to the SessionFactory. The provided interceptor will apply to all sessions opened by the session-factory. In this example, I am going to intercept or manipulate the properties of a persistent object before going to save, update, delete, load or get. We can create an interceptor either implementing Interceptor interface or extending the EmptyInterceptor class. However, the EmptyInterceptor class implements Interceptor interface. Here I am going to extend the EmptyInterface and override some of the methods to intercept my CRUD operations. 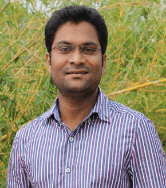 Here I created session scoped interceptor while opening Hibernate session. The intention of the below example is to check whether the interceptor methods being called or not for the appropriate crud operations. We can observe the interceptor logs while calling session.load(), session.delete() methods. Hibernate: update hibernate_sequence set next_val= ? where next_val=? Hibernate: select item0_.id as id1_0_0_, item0_.category as category2_0_0_, item0_.item_name as item_nam3_0_0_, item0_.item_price as item_pri4_0_0_ from item item0_ where item0_.id=?